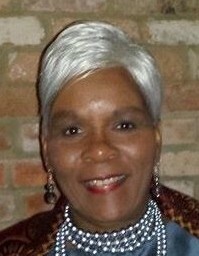 Ms. Teresa Ann Burton Parks, age 65, of 612 Sarver Court, Raleigh, departed this life on Wednesday, March 20, 2019 at The Laurels of Forest Glenn in Garner. Funeral, 12 Noon, Tuesday, March 26, 2019, First Cosmopolitan Baptist Church, 1515 Cross Link Road, Raleigh. The Rev. Dr. Dorwin L. Howard Sr., Pastor. The Rev. James Burgess, Pastor of Compassionate Tabernacle of Faith Missionary Baptist Church, Officiating. Visitation, 11:30 AM to 12 prior to the service. Interment, Montlawn Memorial Gardens. Survivors: daughter, Renee' Parks of Raleigh; sons, Clarence "Tony" Parks and Toussaint L. Parks both of the home; sisters, Joyce B. Gadison of Raleigh, Eva Judd Jones (Larry) of Raleigh, Thelma Bethea (Jesse) of Washington, DC; brothers, Larry L. Burton of Raleigh, Major L. Burton (Doris) of Enterprise, AL, Charlie "Pig" Burton of Raleigh and J. Vann Burton (Mattie) of Clayton; 6 grandchildren, 1 great grandchild and a host of other relatives and friends. Public viewing, 12 Noon - 8 PM, Monday, March 25, 2019, at the funeral home.